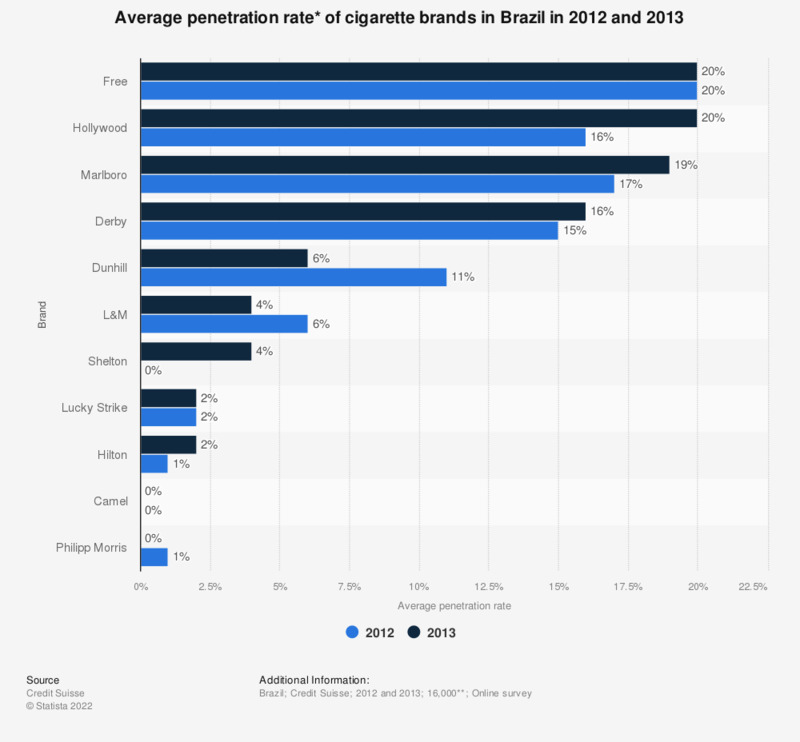 This statistic illustrates the average penetration rate of cigarette brands in Brazil in 2012 and 2013. The survey revealed that 6 percent of respondents purchased Dunhill brand cigarettes within the last three to twelve months of 2013. * Defined as the percentage of respondents who have purchased that brand in the last three to twelve months.